Infuse a bit of happy to your home! With soft, painterly strokes and the prettiest shades, watercolours have a romantic quality that brings an element of artistry to a space. Let's paint your home with an elegant burst of colours. There's something magical about the way patterns and colours transition into each other. The ethereal look of paint-dabbled watercolours makes any room feel fun and playful. 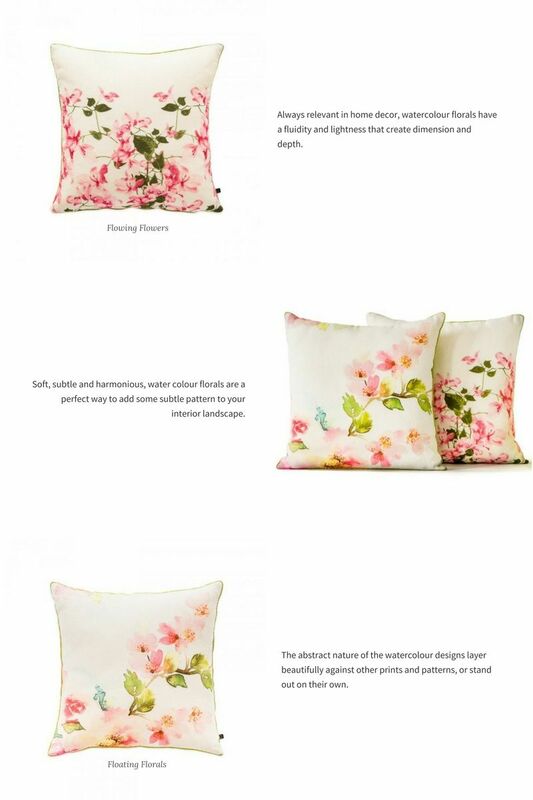 With Gulmohar Lane's watercolour floral cushions infuse 'a little bit of happy' into your home. Shop our Watercolour Cushions Collection here.